I have a lot of stories to tell, but I won’t make you slog through one really long post. Since this IS an author site, today I will write about my one day at the Javits Center, home base for BEA 2014. Next time, I’ll tell you about the travel experience in the Big City. What is Book Expo America? A quick introduction if you’re not in the book business: Book Expo America (BEA) started as the annual conference of the American Booksellers Association, the group that organizes and lobbies for independent bookshops across the country. The conference still offers dozens of educational sessions and panel discussions focused on the book business from the perspective of the booksellers and librarians who attend. Publishers attend and exhibit at BEA to connect their catalogs with the humans who place orders and offer recommendations to their customers about what to read next. Authors and literary agents attend to sell their current book and make deals for their next projects. This year, even independent, self-publishing authors had a portion of the trade show floor to call their own. Back in the 1980s and 1990s, ABA battled for the survival of independent mom-and-pop bookstores against the corporate Goliaths: Barnes & Noble and Borders. Absent some context, I suppose you could say they won: Borders is gone, Barnes & Noble fights rumors of its impending doom, and ABA membership is actually up this year! Of course, the corporate bookshops weren’t really slain by the independents, but by another Goliath that once dubbed itself “Earth’s Biggest Bookstore,” Amazon.com. While not an ABA member, Amazon had a big presence at BEA through its CreateSpace and children’s publishing subsidiaries. A newer acquisition, Goodreads, also gave authors tips in using its author program. But I digress… enough exposition! Not here to pontificate on the state of publishing. Here’s the action part! So how did the signing go? Glad you asked — It went great! Carole Jelen and I were among the 750+ authors scheduled to sign books during the show. At 10:30 in the morning, a half hour before our scheduled signing, I signed in at the Author Green Room. No, it was not like an airline club room with mahogany-paneled walls and attendants for our every needs — though the couches were pretty nice. I was given my choice of Sharpies to sign with, and offered coffee or tea. As it happened, the two representatives from BenBella Books who scored us the signing appeared shortly after I got there, so I had someone to hang out with until Carole got there. Let me say before I go too much further that everyone we’ve worked with at BenBella has been nothing less than terrific in shepherding this project through. If you ever get a chance to publish with them, take it! Just before the appointed hour arrived, the BEA Signings manager gathered us all up for a walk to our tables. Carole and I walked down to Table 11 not sure what to expect, but when we opened the curtain to greet our public, I think we were both a little surprised to see a long line of autograph seekers waiting for us! A line that kept coming for the full 30 minutes! We met booksellers, librarians, and writers in a variety of genres. People kept telling us how much they needed our book. Even the author signing next to us told us he wanted one! The time just flew by. We close out Build Your Author Platform with a whole chapter reminding you that the writing life is supposed to be fun; that after the hard work of writing your book and working on your platform, you need to celebrate the achievement and have a party. With that in mind, we gathered that evening at the Times Square Intercontinental Hotel (right across the street from the legendary Birdland jazz club), with many of Carole’s friends and associates in the publishing industry for a bit of champagne and conversation. It was great fun, and I’m happy to say that I largely behaved myself. OK, it’s true I could hardly stop showing off the wonderful review we’d gotten that morning from big time tech columnist Andy Ihnatko, but that was pretty much the extent of my bad behavior. You can find more pictures from the signing and party on my Facebook page. All in all, it was a spectacular day, especially for an introverted nerd like me. Every writer should have one (or many) like it. Many Thanks to everyone I crossed paths with! Were you among the people we met at BEA? Have you hosted a great (or even not-so-great) book signing event? Feel free to share a story in the comments. I am about to enter new territory as an author, on several levels. Not only am I going to New York City for the first time since the mid-1970s, I’m going to Book Expo America (BEA) for the first time too. If you’re not familiar with BEA, this is the biggest annual trade show for booksellers in the US. The show used to be billed as the American Booksellers Association conference (which it still is, despite the rebranding), and my brother-in-law, the textbook manager at the local public university, was a regular participant. After hearing dozens of stories over the years, I knew I wanted to go someday, but couldn’t figure out a way to justify the cost. This changed with the Build Your Author Platform: The New Rules project. When Carole Jelen proposed that I write the book with her, of one thing she was certain: We would launch this book at BEA. So that’s what we’re doing! 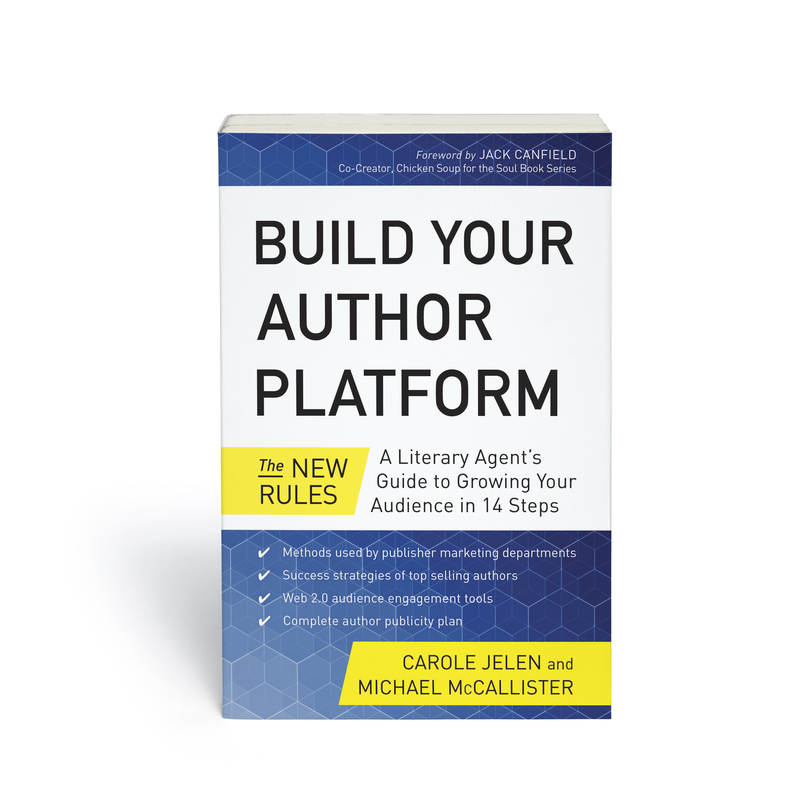 Carole and I will be signing copies of Build Your Author Platform at the Jacob Javits Convention Center for a half hour on Thursday, May 29 starting at 11:00 AM Eastern time. If you’re at BEA, please come see us! We may also be hanging around the BenBella Books table for different chunks of the day too. Unfortunately, I can’t stay for the free reader-oriented BookCon happening on Saturday, but I urge you to go if you can. Then maybe we can swap stories next year. Want to follow all the happenings at BEA? Twitter hashtag is #bea14. I suspect WorkingWriter will be posting a lot here and on Twitter with whatever strikes me in the Big Apple. Desperately need to find me in New York? Email bea-at-michaelmccallister.com. Let’s see what we can set up! Book Expo of America Thursday May 29th – Stop by and say Hi! With enormous pride (and a little relief), I can finally say that Build Your Author Platform: The New Rules should be sitting on a shelf at a bookstore near you any day now. This guide to finding and growing an audience for your writing was more than a year in the making, and Carole Jelen and I are thrilled to offer it to you. Our friends at BenBella Books have been exceptionally helpful in bringing the book to fruition as well. So what is Build Your Author Platform? In this book, we share a 14-step program for connecting with your present and future fans. My literary agent, Carole Jelen, shares her experience marketing books and authors. I help you get comfortable with creating websites, accessing and participating in the Big Four social media sites (Twitter, Facebook, LinkedIn and Google+). While you already know that the Internet has changed book marketing forever, we don’t just talk about the online world. We’ll help you create audio and video clips, or just connect with traditional radio and TV. Nervous about speaking in public? We’ll help you get practice just speaking into your webcam and reviewing the results. We help with writing and circulating articles for both online and offline markets, teaching mini-courses, and other wonderful ways to connect. The 14 step program will make sure that you will cast the widest net possible in search of your audience. I will guarantee you, however, that at least one step in the book will make you a little queasy about getting into this writing business in the first place. For me it’s public speaking, for you it might be making a website, or figuring out Twitter. Now the advantage of having so many steps is that you can pick your spots. Doing only the obviously fun parts of the program may well get you the audience you want, but here’s my challenge: After you read the book, try the one thing that scares you. When you expand that zone even a little, the worst that can happen is you might embarrass yourself a little bit (and if that really scares you, do the thing with friends, or by yourself). At best, your confidence will expand with every inch of that comfort zone. If you happen to be in New York for Book Expo America, Carole and I will be signing books on Thursday, May 29 at 11 AM. Also, BenBella is giving away two copies of Build Your Author Platform at Goodreads. Enter here. I’ll have more about the book and building your platform in the coming days. Let me know if you’ve got specific interests or questions. Be sure to visit the book site at BuildAuthorPlatform.com. You can buy online from there too (paper or eBook). Go see Carole’s blog, The Platform. When you’ve read Build Your Author Platform, please tell Amazon readers what you think of it.